Open this weekend….love the rate-be an MVP for the day and rate is $22! Need to indulge your passion for Golf? Weather permitting, we will be open February 14-Valentine’s Day. Carts allowed and a Valentine’s sweet with your round! Satisfy your passion for golf…. Bundle of Love Golf Package….10 Rounds for $200! 4 clinic classes with PGA pros Chris Carr and Patrick Spang. Many dates! Couple’s Bonus-one free hotdog and one drink after a class! Plus discounts at hundreds of other courses. 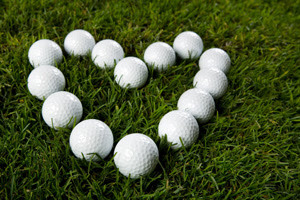 Golfer’s Gift Certificate…..a token of love for your passionate golfer. To find more ways to satisfy your golf passion, visit our website www.themanorgolfclub.com or call 610-334-8690. Great Value, Great Views, Great Fun…. Great Golf for Golf Lovers!